Get camera surveillance now with immediate installation, monitoring and recording ability. You need this, your family, your business and employees. 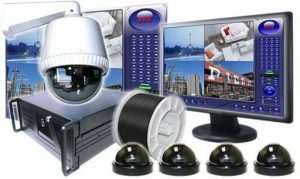 We here at Central Computer Technologies (CCT) will provide you with camera surveillance over a wireless network, providing you with more productivity, and peace of mind, giving you the ability to provide evidence against criminal activity, providing the security for what is important for you, your business and / or residence. A very present help in danger and for insurance purposes. Whatever you want connected or monitored – all makes and models to function on your network securely the way you want. With even your smartphone, your will be able to monitor all the action and record it real time. You’ll know who comes and goes with proof for law enforcement. Operate the security of your home or business. Imagine locking your own doors or garage remotely. Watch all activity discretely on your smartphone, iPad, iphone, tablet, laptop, and desktop from any where in the world at any time. All camera systems come with night vision. See in the dark! Call us now at 403.872.5163 or e-mail us: info@centralcomputertech.com to discuss your needs and get set up. We here CCT will come to you on-site, and provide you with professional service and proper operational support. We will help you take the bite out of crime fast and furious! We are one of the most reasonably priced, available, reliable and high quality serviced based installation companies of the greater Red Deer area, and surrounding towns of: Sylvan Lake, Eckville, Benalto, Bentley, Rimbey, Lacombe, Ponoka, Blackfalds, Penhold, Olds, Innisfail, Joffre, Pine Lake, El Nora, Huxley, and Tees. Depending on the security service work you need, we provide same-day service, meet with you and discuss your needs getting your protected right away. 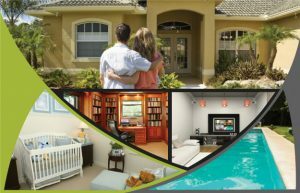 Ask us about our monitored services program to accommodate for your residential, and small to medium business requirements through contract with us. Keeping all your assets and technology central, and working for you!